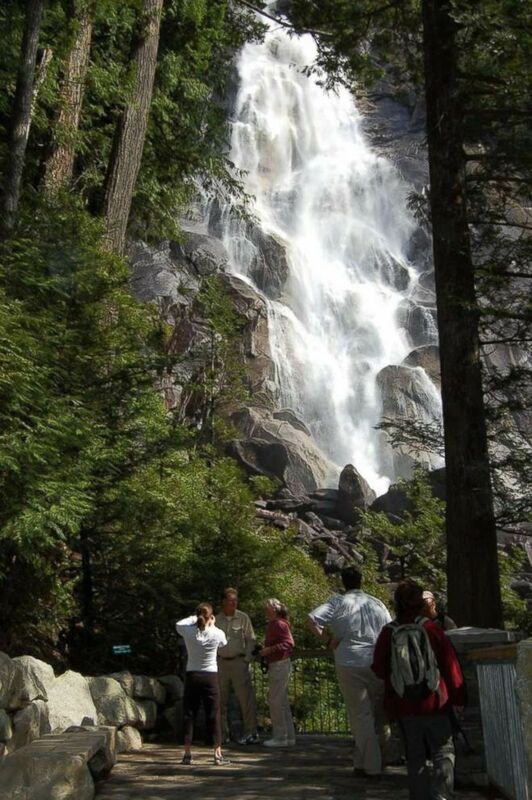 Three YouTubers were killed in Shannon Falls in British Columbia. 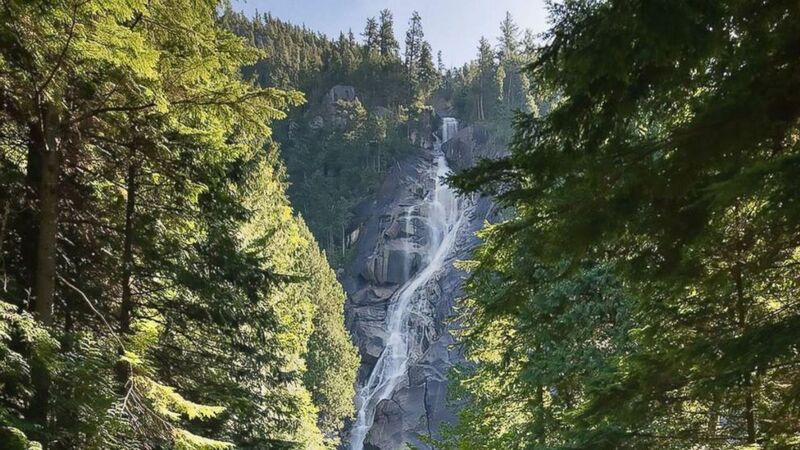 Three Canadian YouTube travel vloggers were killed in an accident at Shannon Falls, roughly 40 miles from Vancouver, near the town of Squamish, British Columbia on Tuesday. Ryker Gamble, Alexey Lyakh, and Megan Scraper were reportedly walking along the edge of the falls when they slipped and fell about 30 yards, according to the Squamish Royal Canadian Mounted Police. “Squamish Search and Rescue (SAR), Lions Bay SAR, BC Ambulance, Squamish Fire, BC Parks, and Squamish RCMP attended to the scene in order to coordinate the search efforts,” Squamish RCMP said in a Tuesday press release. (Gregory Simpson/Courtesy of BC Parks/AFP/Getty Images) This handout photograph obtained July 6, 2018 shows the 335-meter-high (1,100-foot) Shannon Falls, 50 km (30 miles) from the city of Vancouver, British Columbia. Three video bloggers suffered fatal injuries after they slipped and fell into a pool 30 meters below. According to the Canadian Broadcasting Corporation, witnesses said they saw Gamble, 30, and Lyakh, 30, dive into the pool above the falls to save Scraper, 29, who fell from rocks at the top and was carried by a strong current. But none of them survived. The trio was known for its adventurous travel videos. In 2011, Gamble and Lyakh created the YouTube vlog channel "High on Life" to showcase their performances of daring outdoor tricks and stunts at well-known locations. And in 2016, the two made headlines after walking off a designated path in Yellowstone National Park to get closer to the famous Grand Prismatic Spring. Last January, they were reportedly sentenced to seven days in jail for violating rules at multiple U.S. national parks and banned from American public lands for five years, according to CBC. "High on Life" has over half a million subscribers on YouTube, and over 1.1 million followers on Instagram. On Friday, the YouTube channel released a video tribute in memory of Gamble, Lyakh, and Scraper. In addition, the channel published a passage written by Gamble and Lyakh and encouraged subscribers to use the hashtag #HOLInspired to share their thoughts on social media. “What do you want to do in your life? What makes you tick? What makes you feel awe? Don’t be misled into thinking that you’re supposed to do anything. You are supposed to do only what you chose to do,” they wrote. “The world is vast and full of possibilities. Follow your bliss. Get out of your comfort zone. Stop looking for reasons why you can’t and look for reasons why you can. And … if you can, you should."